We are committed to providing an unsurpassed level of service and a personal connection in fulfilling your audio/visual needs.
" We are committed to providing an unsurpassed level of service and a personal connection in fulfilling your audio/visual needs. " 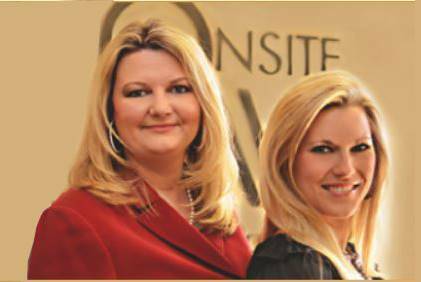 Onsite AV Service Partners, Inc., provides quality turnkey audio/visual services. This comprehensive approach includes concept and design, integration and maintenance. In 2004, Onsite AV was established to establish Onsite AV Service Partners in the Central Texas area with the goal of providing an unsurpassed level of service. Partners Shelly Cox and Karla Samaripa bring a unique mix of experience, enthusiasm and resourcefulness to the business. In the exciting and ever-changing AV industry, the experienced Onsite AV team leads the way through continuous learning, analyzing new products, testing equipment and procedures, and strategic planning. Onsite AV Service Partners, stands ready to meet the future as AV technology moves it’s digital transition with their commitment to superior service.